Bryan Larkin was reappointed as Waterloo Regional Police Chief Wednesday, extending his contract for five years. 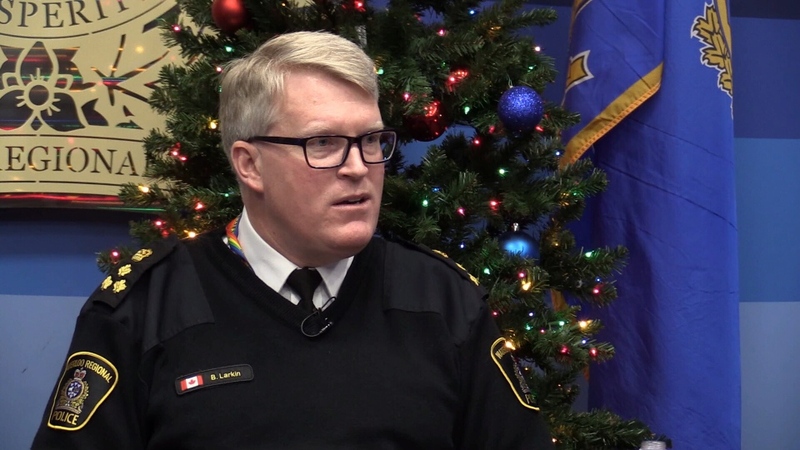 Chief Larkin began his career with Waterloo Regional Police in 1991, working as a front-line Constable and rising to the rank of Superintendent of Central Division. He also served as Executive Officer to the Chief of Police, as well as Deputy Chief and Chief for the Guelph Police Service. During his tenure as Chief of Police Larkin volunteered his time as a member of the Canadian and Ontario Associations of Chiefs of Police, is the past President of the Ontario Association of Chiefs of Police, represents the OACP on the Ontario Police Memorial Foundation, and is the Co-Chair of the Provincial Police Joint Health and Safety Committee. Larkin also serves as the co-chair on the CACP Drug Advisory Committee, and is a member of the Board for Nutrition for Learning and a member of the United Way Campaign Cabinet for Waterloo Region Communities.